95% of our work here at Black Belt Designs is handled with ExpressionEngine. Making ExpressionEngine our "goto" tool in the toolbox. For years now ExpressionEngine has led the pack in the world of Content Management Systems (CMS). There have been others that have been talked about more frequently, but they don't hold a candle to the features, security, and adaptability of ExpressionEngine. Many other lower-end CMS seem "easy" because they can load a theme and launch. The problems shine when you hit the wall with that theme's possibilities and can't do any more with it. This is where ExpressionEngine flies by the competition by being open ended in adaptability and possibilities available. Being an open-ended framework that allows developers to build without constraints means that your project is forever dynamic. The system is dynamic therefore your project is dynamic by default. 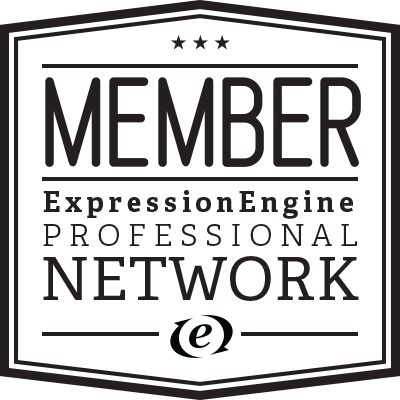 Top off all of the features in ExpressionEngine with the fact that Black Belt Designs is a member of the Pro Network for EllisLab (The parent company of ExpressionEngine), and you are set for success. Black Belt Designs also strives to help the ExpressionEngine community by developing an array of modular addons or expansions for added functionality.